At the Blind Gallery, we offer you Hunter Douglas window treatments at unbeatable prices, plus measuring and installing at no cost to you! Most Hunter Douglas products can be installed in just two weeks! We also carry drapery, curtains and valences. Sit down with our experts to view our selection. Choosing the right window solution can be daunting. Our experienced design professionals will work with you to find a solution that looks great and provides benefits such as energy efficiency, privacy, and utility, all within your schedule and your budget. 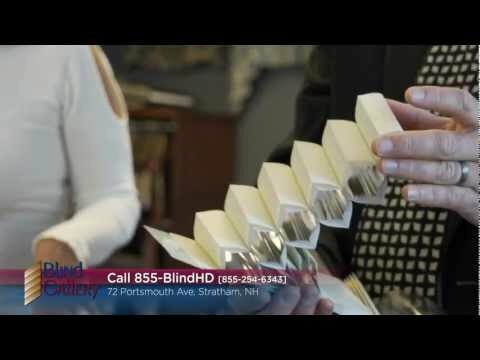 Take a look at our video to learn more about our products and services. Then come visit our showroom! Bob has provided genuine customer service and expert window covering installation for over 30 years. Customer education and support are important to Bob. Joel has been working full-time with the company for five years, excelling as the sales manager and a professional installer. Joel takes a lot of pride in exceptional customer service and building a personal relationship with clients. He has grown up in the window treatment industry and is very well-versed in all Hunter Douglas products. You will likely meet Joel in the gallery showroom, at your free in-home consultation, or he may be installing your Hunter Douglas products for free!